For the 1970s pitcher, see Ed Plank. For other uses, see Plank. Edward Stewart Plank (August 31, 1875 – February 24, 1926), nicknamed "Gettysburg Eddie", was an American professional baseball player. A pitcher, Plank played in Major League Baseball for the Philadelphia Athletics from 1901 through 1914, the St. Louis Terriers in 1915, and the St. Louis Browns in 1916 and 1917. Plank is the first left-handed pitcher to win 200 games and then 300 games, and now ranks third in all-time wins among left-handers with 326 career victories (eleventh all time) and first all-time in career shutouts by a left-handed pitcher with 66. Philadelphia went to the World Series five times while Plank played there, but he sat out the 1910 World Series due to an injury. Plank had only a 1.32 earned run average (ERA) in his World Series career, but he was unlucky, with a 2–5 win–loss record in those games. Plank died of a stroke in 1926. He was elected to the Baseball Hall of Fame in 1946. Plank grew up on a farm near Gettysburg, Pennsylvania. He was the fourth of seven children born to Martha McCreary and David Plank. His father was a school director and tax collector in Gettysburg. Plank did not play baseball until Frank Foreman, the pitching coach at Gettysburg College, asked him to try out for the school's baseball team. History books often erroneously state that Plank graduated from Gettysburg College. He attended Gettysburg Academy, a prep school affiliated with the college. However, he played for the college's team without ever being enrolled there. Plank signed with the Richmond Colts of the Virginia League, a minor league. The league folded before Plank could pitch for the Colts. Foreman recommended Plank to Connie Mack, the manager of the Philadelphia Athletics, and Mack signed Plank to a contract. Plank made his major league debut for the Athletics on May 13, 1901. As a rookie, Plank pitched to a 17-13 win–loss record with a 3.31 earned run average (ERA) and 28 complete games in 32 games started. He won 20 games for the first time in his career in 1902, as the Athletics won the American League (AL) pennant. He won 23 games in 1903 while leading the AL in games started. In 1905, Plank made his first trip to the World Series. He faced Christy Mathewson in the first game and Joe McGinnity in the fourth game. Though Plank gave up only three runs in 17 innings during the series, the Athletics lost to the New York Giants in five games and did not score an earned run in the entire series. The Athletics returned to the World Series in 1910, but Plank was forced to sit out with a sore arm. By 1911, Plank was the last member of the Athletics remaining from the 1901 team. The 1911 team made the World Series and faced the Giants again. After Plank won Game Two and lost in a relief appearance in Game Five, the Athletics won the series in six games. In 1913, the Athletics and Giants met again in the World Series, and Plank faced Mathewson in Games Two and Five. Mathewson hit a tenth-inning single off of Plank to set up a Giants victory in Game Two, but Plank and the Athletics bested Mathewson 3–1 in the fifth and deciding game of the series. In 1914, Plank's final year with Philadelphia, he went to the World Series again. Plank pitched a complete game in Game Two, but he lost 1-0 and the Boston Braves won the series in four games. During his tenure in Philadelphia, Plank was one of the most consistent pitchers in the game, winning over 20 games seven times. In the four World Series in which he played, Plank earned a 1.32 ERA but only a 2–5 win-loss record. He pitched complete games in all six of his World Series starts. In November 1914, it was rumored that Plank would be sold to the New York Highlanders. In December, Plank signed a contract to play in the Federal League. Mack expressed no regret at Plank's departure, saying, "I wish him the best of luck... I was through with him. He was after the money. He was a wonderful pitcher and he is a good one yet." He played for the outlaw league's St. Louis Terriers and won 21 games, the eighth and final time he reached the 20-win plateau. 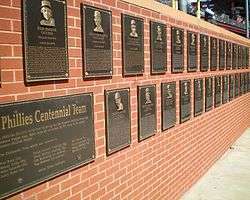 Some baseball reference works decline to acknowledge the Federal League as a major league, and therefore give Plank credit for only seven 20-win seasons and 305 total wins. When the Federal League folded, Plank applied for free agency but was declared to belong to the St. Louis Browns for 1916. 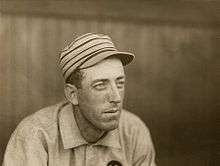 In September of that year, Plank predicted that he might be able to pitch ten more seasons, saying, "I don't know whether it is that I have more on the ball this season than I had in other years, but at any rate I feel that I have just as much stuff as I ever did." However, by June 1917 newspapers reported that Plank's career was nearly over; he had struggled with arm problems and had left the team at one point due to a nervous breakdown. He retired in October 1917, citing stomach difficulties brought on by the stress of baseball. His final game was a 1–0 11-inning complete game loss to Walter Johnson and the Washington Senators on August 6, 1917. Despite his announcement, the New York Yankees traded pitchers Urban Shocker and Nick Cullop, infielders Fritz Maisel and Joe Gedeon, catcher Les Nunamaker, and cash to the Browns for Plank and Del Pratt. Plank refused to report to New York, insisting he was retired. Over his career, Plank amassed a 326–194 record, a 2.35 ERA, and 2,246 strikeouts. He won 305 games in the American League, making him that league's winningest left-handed pitcher. In addition, he was the winningest pitcher (left or right-handed) in the American League until 1921, when he was surpassed by Walter Johnson. Plank was known as a finesse pitcher with a good sidearm sweeping curveball. He was also known for his long pauses on the mound, which some claimed lengthened the duration of the games in which he pitched. Plank married Anna (née Myers) in 1915. They had a son, named Edward Stewart Plank Jr. Plank's brother Ira was the baseball coach at Gettysburg College for more than twenty years. After his 1917 retirement, Plank went into the garage business in Gettysburg. He pitched the 1918 season for the Steelton club of the Bethlehem Steel League, an industrial baseball league. Steelton was only 40 miles from his home and the arrangement allowed him to manage his business during the week. He died on February 24, 1926, several days after suffering a stroke. Plank is buried in Evergreen Cemetery in Gettysburg. Upon hearing of Plank's death, Connie Mack said that he felt like a father who had just lost a son. "Eddie Plank was one of the smartest left-hand pitchers it has been my pleasure to have on my club. He was short and light, as pitchers go, but he made up for the physical defects, if such they were, by his study of the game and his smartness when he was on the pitching peak", he said. Former teammate Jack Coombs said, "I have always been thankful that I was thrown into such intimate contact with so inspiring a man in the days when the majority of ballplayers were of a much lower type than at the present time." In 1943, former teammate Eddie Collins remembered Plank as the greatest pitcher in baseball. "Not the fastest. Not the trickiest, and not the possessor of the most stuff, but just the greatest", Collins said. He was inducted into the Baseball Hall of Fame in 1946 and voted into the Pennsylvania Sports Hall of Fame in 1972. Gettysburg College began planning for the Eddie Plank Memorial Gymnasium at the college shortly after Plank's death. The gym was completed in 1927 and indoor sports such as basketball and wrestling were played there until 1962. A restaurant in downtown Gettysburg honors Plank's career. A portion of Plank's childhood farm is a housing development known as Plank's Field. Plank is mentioned in the poem "Line-Up for Yesterday" by Ogden Nash. In 2006, a T206 tobacco card featuring Plank was described as the "second most valuable card in existence." It was owned by Arizona Diamondbacks owner Ken Kendrick and was part of a collection that Kendrick loaned to the Baseball Hall of Fame for display there. The most valuable baseball card in existence, a T206 Honus Wagner card, is in the same collection. ↑ "Eddie Plank's Father is Dead". New Oxford Item. June 19, 1930. Retrieved August 7, 2013. 1 2 Grayson, Harry (October 14, 1943). "Farmer Eddie Plank Ranks Among Great Lefthanded Pitchers". Evening Independent. Retrieved August 7, 2013. 1 2 3 Kuttler, Hillel (June 29, 2013). "Eddie Plank: A Favorite Son of Gettysburg". The New York Times. Retrieved August 7, 2013. ↑ "1905 World Series". Baseball Almanac. Retrieved August 7, 2013. ↑ "1910 World Series". Baseball Almanac. Retrieved August 7, 2013. ↑ "But One Original Athletic is Left". Pittsburgh Press. December 16, 1911. Retrieved August 7, 2013. ↑ "1911 World Series". Baseball Almanac. Retrieved August 7, 2013. ↑ "1913 World Series". Baseball Almanac. Retrieved August 7, 2013. ↑ "1914 World Series". Baseball Almanac. Retrieved August 7, 2013. ↑ "Eddie Plank Pitching". Sports Reference, LLC. Retrieved August 7, 2013. ↑ "Eddie Plank World Series Stats". Baseball Almanac. Retrieved August 7, 2013. ↑ "Eddie Plank Will Be Sold to Highlanders". Milwaukee Sentinel. November 13, 1914. Retrieved August 7, 2013. ↑ "Eddie Plank Takes Leap; Goes to St. Louis Feds". The Milwaukee Sentinel. December 3, 1914. Retrieved August 7, 2013. ↑ "Eddie Plank May Last Many More Seasons". Pittsburgh Press. September 3, 1916. Retrieved August 7, 2013. ↑ Veiock, Jack (June 23, 1917). "Eddie Plank About Through in the Majors". Pittsburgh Press. Retrieved August 7, 2013. ↑ "Eddie Plank Quits the Box After 17 Years in Major League". Milwaukee Journal. October 13, 1917. Retrieved August 7, 2013. ↑ "Eddie Plank's Brother 24 Years at Gettysburg". Milwaukee Journal. June 27, 1936. Retrieved August 7, 2013. ↑ McKenna, Brian. "Bethlehem Steel League". Society for American Baseball Research. Retrieved August 7, 2013. ↑ "Eddie Plank Succumbs to Paralysis; Stricken Sunday While Sleeping". Evening Independent. February 25, 1926. Retrieved August 7, 2013. ↑ Duttera, Sharon (July 14, 1986). "Eddie Plank's Death Stunned Connie Mack". The Gettysburg Times. Retrieved August 7, 2013. ↑ "Jack Coombs Mourns Inspiring Associate in Death of Eddie Plank". The Daily Princetonian. February 26, 1926. Retrieved August 7, 2013. ↑ "Eddie Plank, Henry Bream Selected for Pennsylvania Hall of Fame Induction". The Gettysburg Times. September 6, 1972. Retrieved August 7, 2013. ↑ "The Eddie Plank Memorial Gymnasium". The Gettysburg Times. June 21, 1926. Retrieved August 7, 2013. ↑ "Eddie Plank Gymnasium is Ending Reign". The Gettysburg Times. January 26, 1962. Retrieved August 7, 2013. ↑ "Eddie Plank". Gettysburg Eddie's. Retrieved August 7, 2013. 1 2 Harris, Craig. "Arizona Diamondbacks owner Ken Kendrick reveals $2.8 million secret Honus Wagner card". The Arizona Republic. Retrieved September 6, 2013.